Since it’s Halloween, these are the Halloween related events happening this weekend. Linda Hoang has an extensive list of Halloween events on her site here. We’ve reused the same page as last weekend so finished events are at the bottom. Don’t forget that it is All Saints Day on Nov 1, which follows All Hallow’s Eve. All Saints Day is why Halloween even exists. Visit a local Catholic or Anglican church for Mass on Sunday morning if you’re interested in how it is celebrated. It’s the ultimate fear factor as frightening rides and zombie apocalypse come together for Galaxyland’s first-ever Fright Nights. The West Edmonton Mall attraction promises heart-pounding challenges and thrilling illusions as well. The event happens Friday 4-7pm and Saturday 5-9pm. To get there, take any bus to West Edmonton Mall transit centre. This is perhaps the scariest attraction on the list. 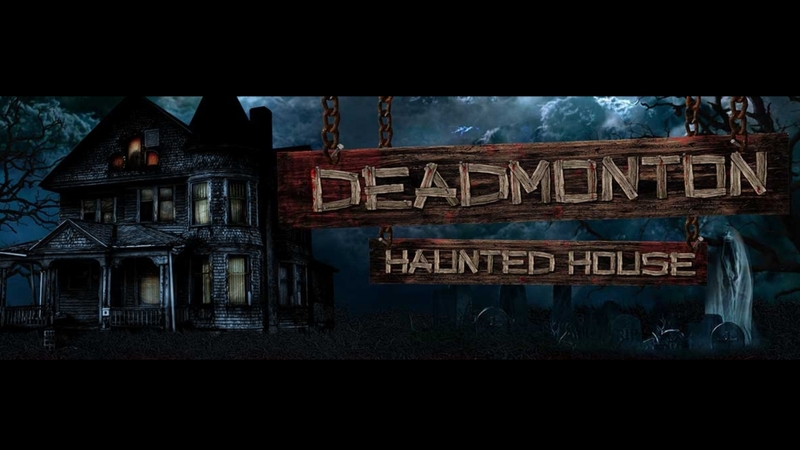 Not only is the location an old theatre with a church as a prior tenant, what’s even more frightening is the Deadmonton Haunted House’s customer service policy taking zero liability on anything that happens to people who dare to enter the premise, including death (cue scary music and lightning). It’s open every night from the 22nd leading up to Halloween. On Nov 6-7, there will also be a flashlight-only weekend, and a final evening on Friday the 13th (Nov 13). Deadmonton House is located in the Old Paramount Theatre at 10233 Jasper Avenue. To get here, take exit B at Bay/Enterprise Square station, cross the street towards Remedy Cafe. 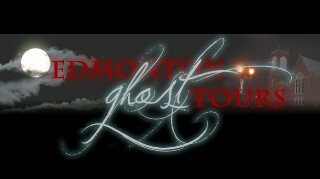 Edmonton Ghost Tours offer walking tours of different areas of the city based on true accounts of haunting incidents. They offer tours in Old Strathcona, Garneau, Rutherford House, and private custom tours. Prices range between $10 to $40 depending on the tour or event like the Halloween Haunt at Rutherford House. If you’re looking for a spooky time, or for a historic narrative, be sure to check out their schedule of tours on there website here. Linda Hoang has an extensive list of Halloween events on her site here. 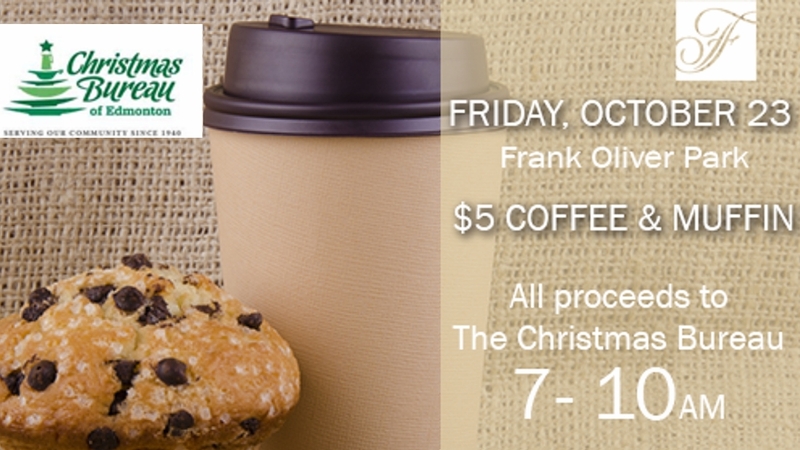 Fairmont Hotel MacDonald will be delivering $5 muffins and coffee as a pop-up breakfast event at Frank Oliver Park (in front of the hotel). If you’re there, you can enter to win tea for 4 at the hotel as well. Proceeds go to the Edmonton Christmas Bureau which the hotel has already done some charity for through their centennial events this year. The pop-up event will run this Friday from 7-10am. You can find the park at exit A1 at Central Station. Watch the following 6 movies for free at Cineplex theatres across Canada: Dr Seuss’ The Lorax (3D), Despicable Me 2 (3D), Pitch Perfect, Dumb and Dumber To, Hop. 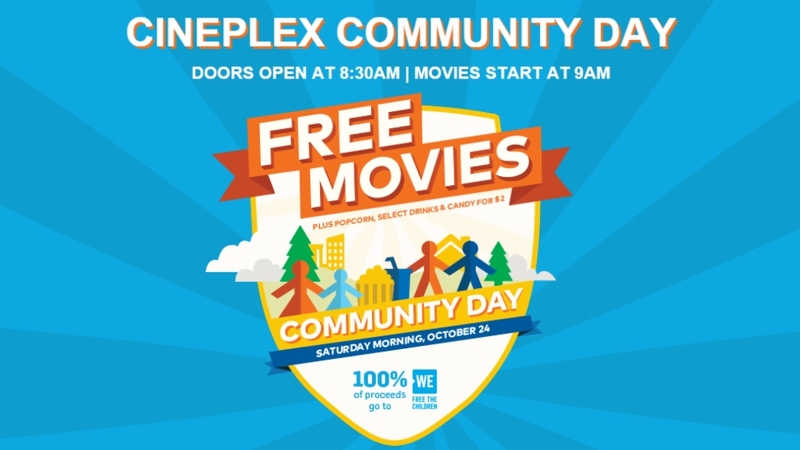 It’s community day and popcorn, beverages, and confection will be sold for $2 with proceeds going to We Free The Children. It’s first come first serve, so if you come late, the movie you want to watch may be full. Doors open 8:30am with show times at 9am. Cineplex locations may be found here. 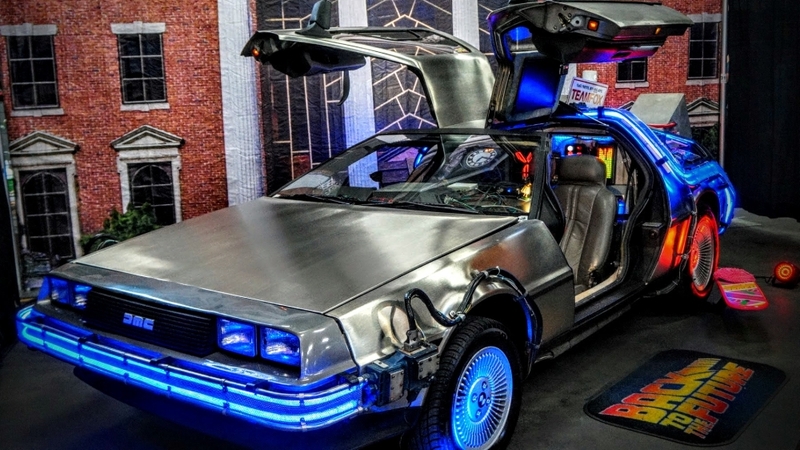 While October 21, 2015 was the big day from Back to the Future Part 2, October 25 marks the day Marty McFly walks into Doc’s house which begins the entire Back to the Future franchise. This Sunday’s trilogy event will mark the 30th anniversary of that date. You can watch the entire trilogy for $20, two movies for $15, or one movie for $10. You can only purchase Trilogy discounted prices on a computer browser or at the box office (mobile purchasing will not work). Showtimes here. The 5th show at Muttart Conservatory this year will be closing Sunday. 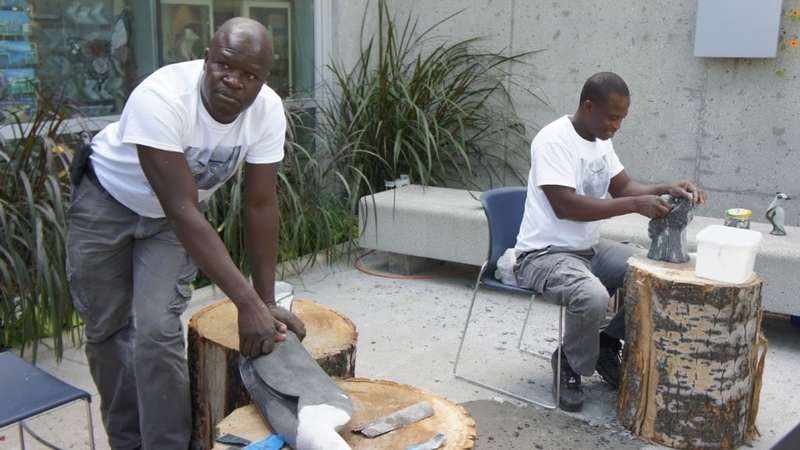 The Zim Sculpt show features over 100 Zimbabwean rock sculptures throughout the premise. What’s unique about them is that they’re all hand-sculpted with one rock using sandpaper. The result is an incredible work with different of textures and colours. After walking through the gallery in harmony with nature, be sure not to miss the many more Zimbabwean sculptures in the gift shop, which is a gallery in itself. If you missed Boo At The Zoo last week, then the Boo-tanical Bash is another opportunity to have Halloween fun at a City of Edmonton facility. Have a spooky good time with creepy crafts, ghostly face painting, and have bonus treats along way at this annual event at Muttart Conservatory. Attendees will also be able to take a plant home, while supplies last. 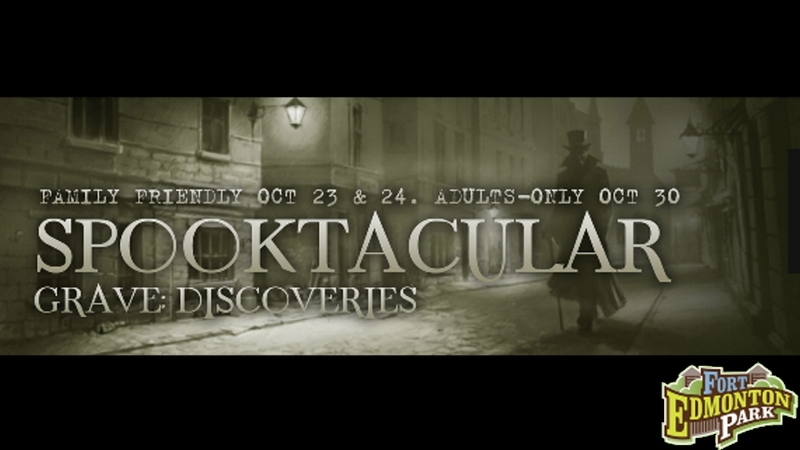 It’s the annual Spooktacular event at Fort Edmonton Park. 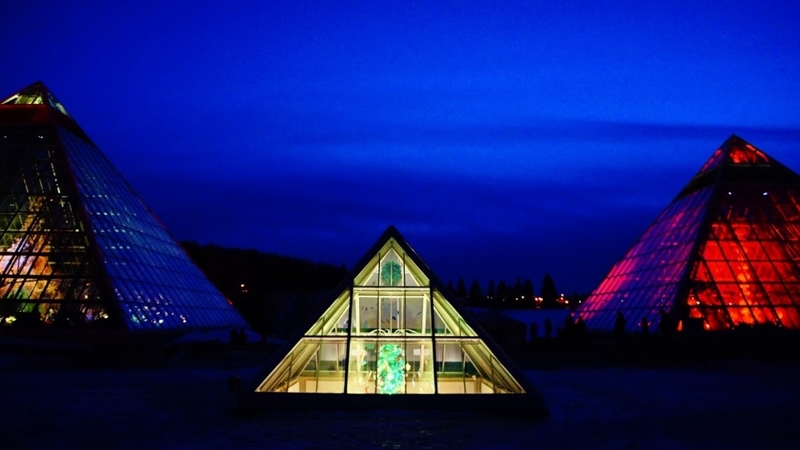 Walk through Canada’s largest living historic museum by area, at night. There may be scary surprises around every corner and inside different buildings on site. There’s a family-friendly edition this weekend, and an adult only edition on all Oct 30. For the normal season price of regular adult admission, you even get a meal on the 30th. Link here. 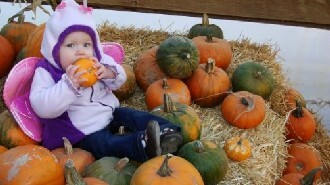 Prairie Gardens has their opening weekend of their annual pumpkin festival in their location just north of Bon Accord (45 minutes from downtown Edmonton). Packed with a corn maze (different than the Edmonton Corn Maze), u-pick pumpkin patch, and countless activities to do, this is the event you want to go to on your weekends this weekend and weekends throughout October. There’s also train rides, make your own scarecrow, petting zoo, haunted house, shooting gallery, just to name a few more events. Just in case there’s not enough things for you to do and think you need a challenge, there’s a list of 50 things to do there that you can check off your list. More information here.